On Tuesday the 23rd of January 2018 Seascape Marine attended the farewell party for the RMS St. Helena which left Cape Town on Wednesday, 24 January 2018 for a final round-trip journey of three weeks to the remote South Atlantic Island of St. Helena. 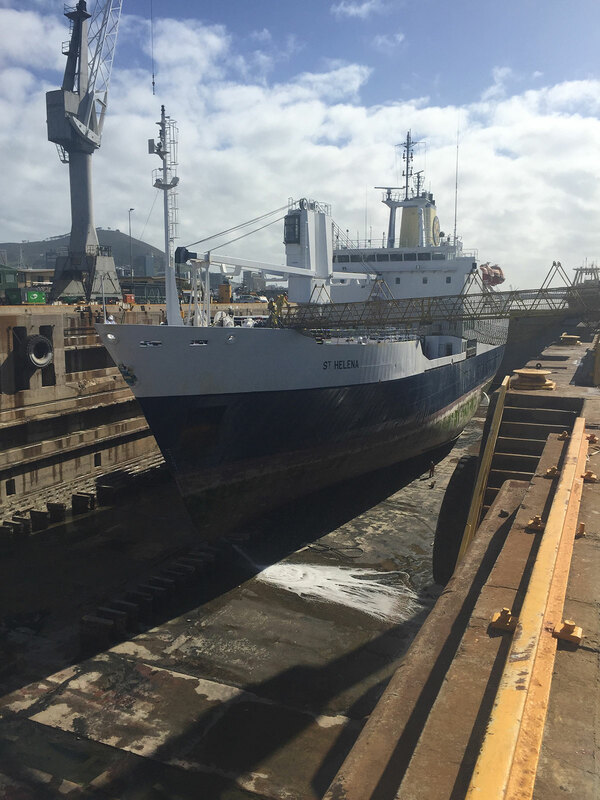 For 3 decades the RMS St. Helena was a lifeline to the outside world & during this time Seascape Marine’s Service dept. 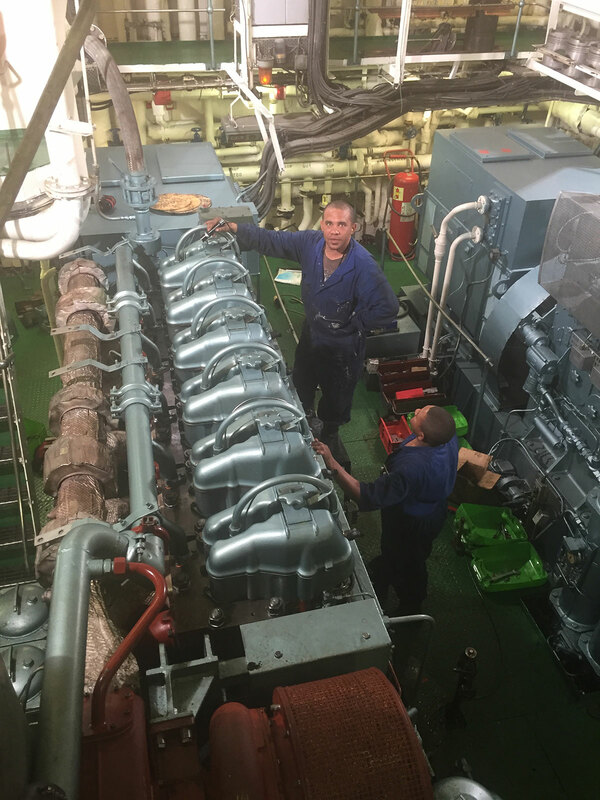 played a vital role as the preferred contractor for all maintenance, service & overhauling of her Mirrlees K6 Major MK3 Main engines and Ruston RK270 Generators. This final Voyage ends a long and proud relationship between Seascape Marine Services & RMS St. Helena’s Ship Management and crew. St Helena Island is now reachable by plane for the first time and another cargo ship will be commissioned to transport cargo about once a month to St Helena.